Travelo Classic Perfume Atomizer and Chanel No. 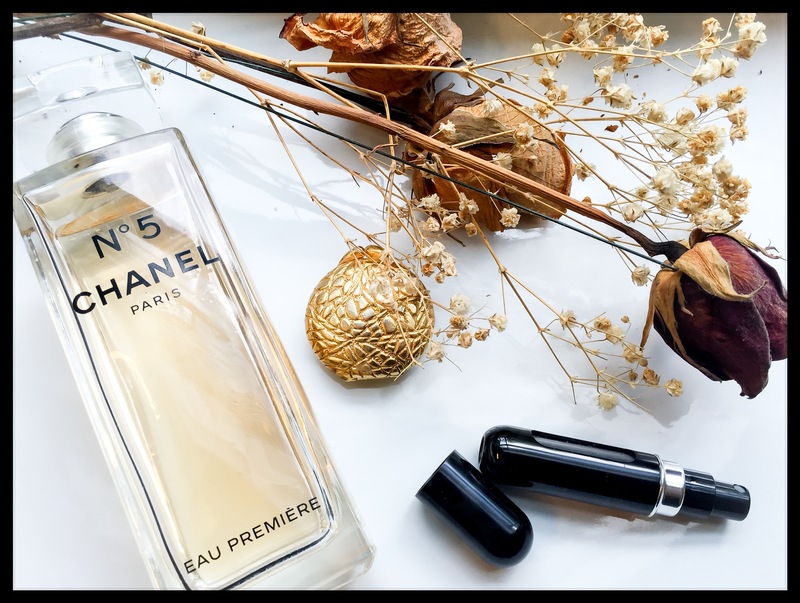 5 Eau Premiere – a Match Made in Heaven! I’m a bit of a perfumista (ok, I hate that word, but it’s true). I don’t wear some of the heavier, rich fragrances I used to wear because I get migraines these days, but this fragrance right here is amazing and always just right. 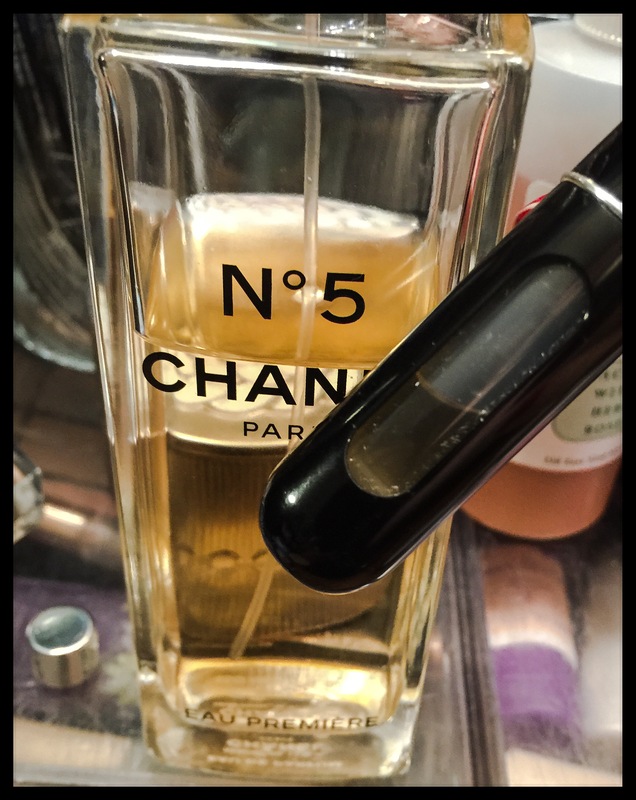 Chanel No 5 Eau Premiere is everything I always wished its big sister was – a milder, more modern, fresher version of the famous classic No. 5. Fragrantica describes it as a woody, aldehydic, white floral that’s lighter, fresher, and more suitable for daily use than the original No 5. I can wear this even on hot summer days, whereas I would have only reached for No. 5 during the winter, with a super light hand. This brings me to the next part of my post! What you see there is an enormous 5 ounce bottle of that delicate, beautiful juice. Nope, that’s not something I would have ever splurged on for myself; it was pretty much one of the nicest holiday presents I ever got. But how on earth would you ever take this with you anywhere? You wouldn’t. Enter the Travalo! 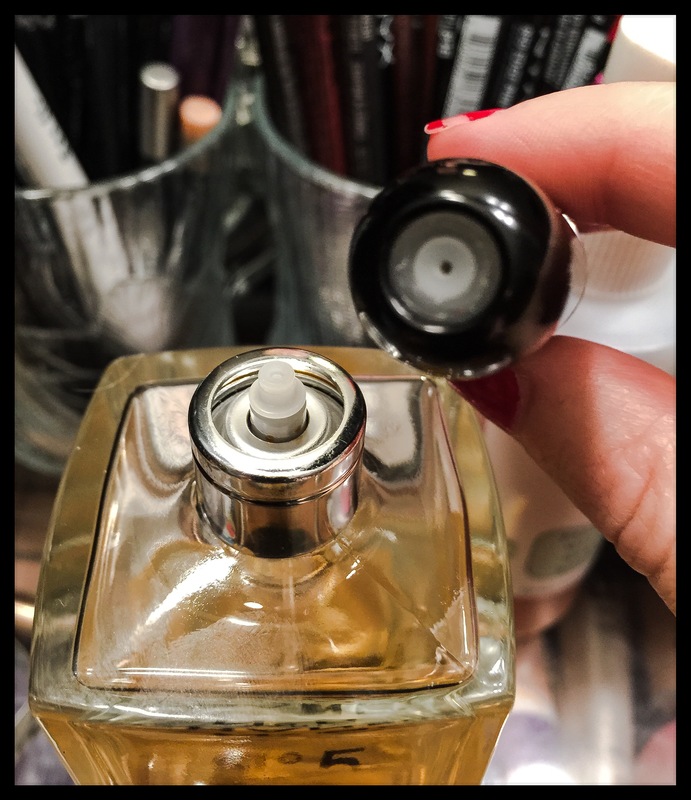 You can see from the plastic window that the perfume has made it into the atomizer. I have had my Travalo for several years. It gets tossed around in the bottom of my purse after being refilled numerous times. Sometimes I throw it in my work desk drawer. Never ONCE has it ever leaked! The current model holds 65 sprays (my older model holds 50 sprays) and costs $19.99 from the Travalo website, but the older version is available from Amazon for much cheaper. 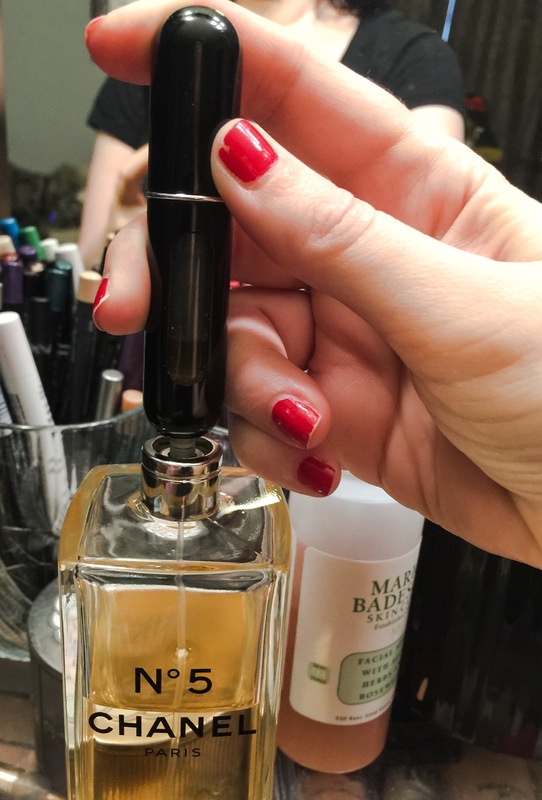 If you have huge perfume bottles you cannot take on the go with you, you need this in your life!